Every day, people entrust their finances to a financial professional to help them pursue the goals they’ve set. That sounds so impersonal, doesn’t it? Monarch Retirement Group partners with you to develop a doable course of action based on your values, comfort level, current situation, and timeline. If you don’t understand something, we want to explain it to you. If you’re not sure about a particular investment, we’ll tell you why we think it would work for you. Or we’ll find an alternative you can be comfortable with. We think you’ll agree that our way is anything but impersonal. We invite you to explore our website to get to know us better. We’ve tried to make your visit to our virtual office very similar to the experience of our real office. But we’re all well aware of the shortcomings of computers and monitors, which is why we invite you to meet us and see for yourself. 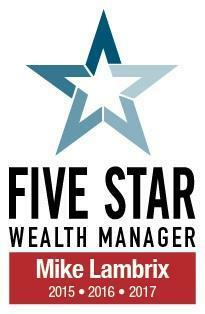 The Five Star Wealth Manager Award is based on 10 objective eligibility and evaluation criteria, including a minimum of 5 years as an active credentialed financial professional, favorable regulatory and complaint history, accepts new clients, client retention rates, client assets administered, education, and professional designations. 1,354 San Diego wealth managers were considered for the award; 349 (26 percent of candidates) were named 2017 Five Star Wealth Managers. (The criteria provided reflect the most recent year for which advisor received the award. The criteria used, the number of wealth managers considered for the award, and the percentage of those who receive the award may vary from year to year). These awards are not indicative of the wealth managers' future performance. Your experiences may vary. For more information, please visit www.fivestarprofessional.com.